Opulent Her Majesty's Theatre London is running the spine chilling London show, The Phantom of the Opera with packed houses. The haunting musical love saga of a disfigured phantom and a beautiful opera singer is simply brilliant. The play is set in the majestic Paris Opera House. 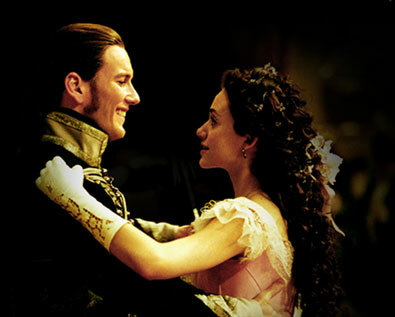 The heart touching tragic love story features grand sets, vibrant costumes and great special effects. The popular award winning London show has been featured in all over 110 cities across the globe. 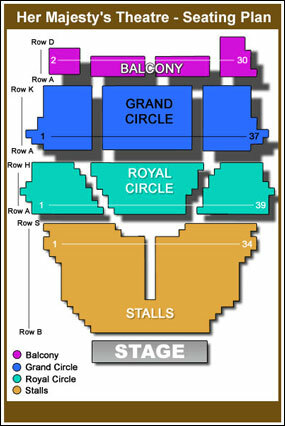 The magnificent Her Majesty's Theatre is positioned at the Haymarket, London, SW1 with a huge occupancy of 1,216. Architect C J Phipps is the brain behind the outstanding structure of theatre. In the year 1897, he built the theatre for Herbert Beerbohm. The hugely loved haunting musical saga is inspired from the classic novel by Gaston Leroux. This immensely loved musical is set in the year 1905 with an auction to be held at the Opera de Paris. Andrew Lloyd Webber’s heart touching musical score makes the London show a complete delight for theatre lovers. It was 1705 when John Vanbrugh established a building at the current site of Her Majesty’s Theatre London and named it the Queen’s Theatre after the then ruling Queen Anne. Theatre Royal Drury Lane and Lincoln’s Inn were the two theatres that were present in London those days and their auditorium wasn’t adequate enough anymore to hold the growing crowd of theatre lovers. The theatre was named King’s Theatre following King George I’s accessions to the throne of Britain. Her Majesty’s Theatre’s name has since then been changing along with the gender of the ruling monarch of Britain. Theatre’s the then owner Herbert Beerbohm Tree got it built from profits he earned from the neighboring Haymarket Theatre. Tree, the founder of RADA owned Her Majesty’s Theatre and resided there until his demise in 1917. Between these periods he produced many acclaimed works including performances of Shakespeare productions here. Her Majesty’s Theatre got the opportunity to host works of notable playwrights like George Bernard Shaw and Noel Coward during Tree’s lifetime. During the woeful years of World War I, the theatre brought some reprieve in the pain - stricken life of people of London by hosting shows of the hilarious Chu Chin Chow. The musical comedy opened here in 1916 and went on for 2,238 performances, a figure that was landmark and unprecedented until then and a record which remained unbroken for the coming four decades. 1958’s West Side Story and Fiddler on the Roof in 1967 were the other remarkable productions to run at Her Majesty’s Theatre London. The theatre became international sensation after hosting London premieres of Mozart’s La Clemenza di Tito in 1806 and Cosi fan tutte and Die Zauberflote in 1811. Today it is counted among one of the best theatres in London and is embedded with all lavishness and modern amenities. The two hours and thirty minutes show is certainly a treat for theatre lovers. The haunting London musical has entered its 24th year in the London West End Show. For an easier and hassle free booking, .